Did you know that ERISA requires all employers to retain detailed 401k documents, including testing results, transactions and employee activity – for at least 6 years? If you did not, you’ve got a lot of company. Nevertheless, it’s important to understand and comply with these rules. While only small civil penalties are possible if required plan records are not preserved, missing records can make it more difficult for a 401k sponsor to defend plan operations or the accuracy of benefit payments if they are ever challenged by the IRS, DOL or plan participants. That can increase liability. In general, 401k plan records must be kept for a period of not less than six years after the filing date of the IRS Form 5500 created from those records. However, records necessary to a participant’s claim for plan benefits must be kept longer. These records must be kept “as long as a possibility exists that they might be relevant to a determination of the benefit entitlements of a participant or beneficiary.” This can mean indefinitely. Some of the most common plan records a 401k sponsor must retain are itemized below. To organize this information, I recommend using three files – a file to store documents that govern plan operation (a “Plan Document File”), a file for participant records (a “Participant File”), and a file for plan year information (a “Plan Year File”). 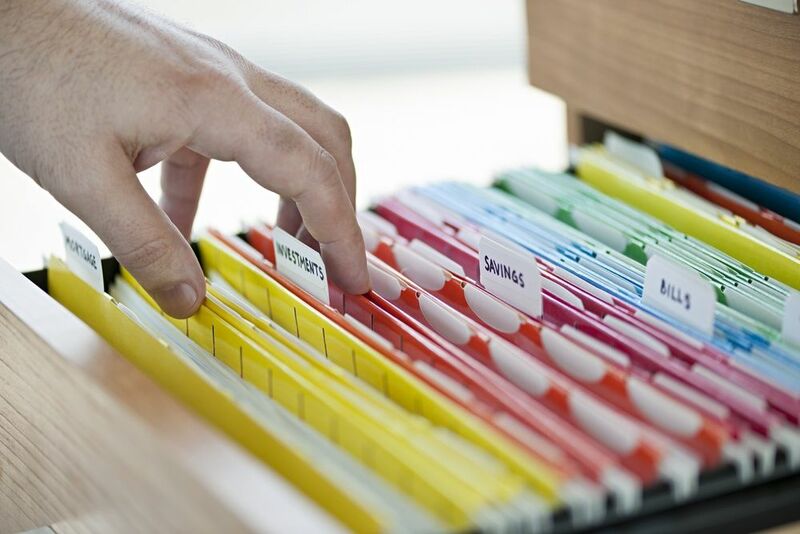 This simple three file system should make it easy to access plan records if they are ever needed. This file should contain forms provided by plan participants. Generally, these forms direct the 401k sponsor to take certain actions on the participant’s behalf. A retirement plan, by its very nature, generates large amounts of documentation and preserving much of it is required by ERSIA. Developing a filing system can make it easy for 401k sponsors to review, update, preserve, and dispose of documents. These systems do not need to be complex. A simple system with 3 file types can do the trick. Ready access to plan documentation can mean the difference between a quick, cost-free settlement to a 401k dispute or a drawn-out, costly battle. Are you paying too much for your company’s 401(k) Plan? Are you sure? Check out our 401(k) Fee Comparison page to find the fees charged by 40+ 401(k) providers and/or request a custom comparison for you plan!